On Saturday 9 th of March at 3pm we have the induction service for the Rev Ben Gotts. On Sunday March 10th at 10.30am we will welcoming Rev Ben Gotts our new Pastor. Who let the dads out? Due to restart soon. All visitors & children welcome. 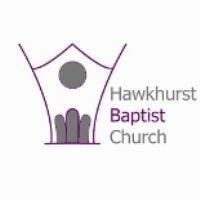 Hawkhurst Baptist Church is an evangelical church in membership with the Baptist Union of Great Britain, South Eastern Baptist Association and the Evangelical Alliance. Our Mission is to 'Share the love of Jesus in a broken and needy world'. We welcome everyone who wishes to join us in our Sunday services. If you would like to know what to expect, please go to the 'Sundays' tab at the top of this page. Home Mission is an important part of supporting and growing our Christian faith now and in the future.